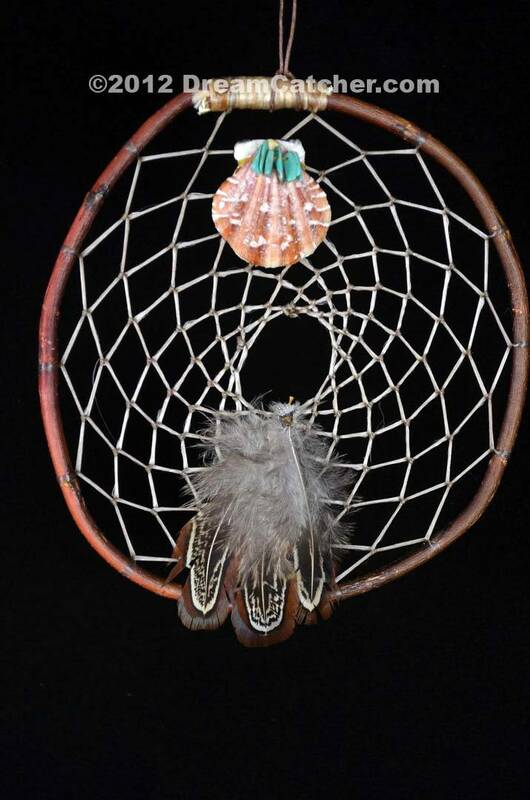 This beautiful dream catcher comes from Native American Artist Patricia Pacheco. This dream catcher is made from Red Willow and is approximately 8" to 10" in diameter. The top of the dream catcher is adorned with a beautiful shell which is topped with turquoise stone chips. The bottom of the dream catcher has a assortment of beautiful pheasant or duck feathers. 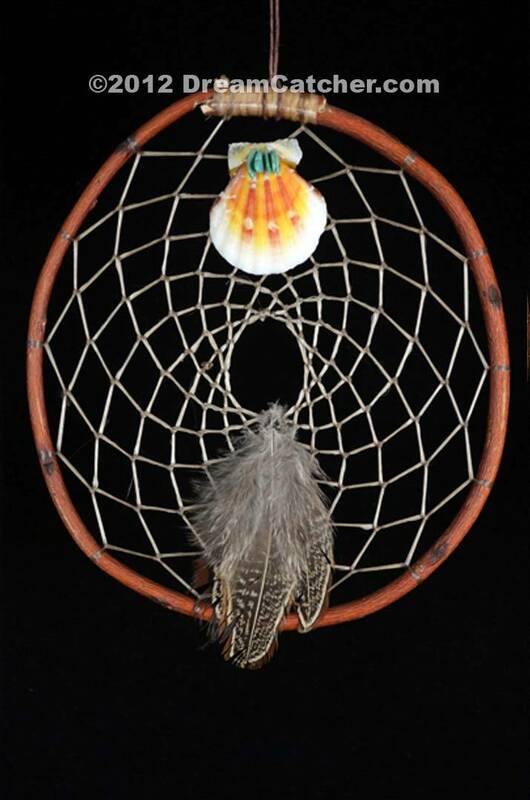 We have only two of these dream catchers in stock and the shells differ slightly.